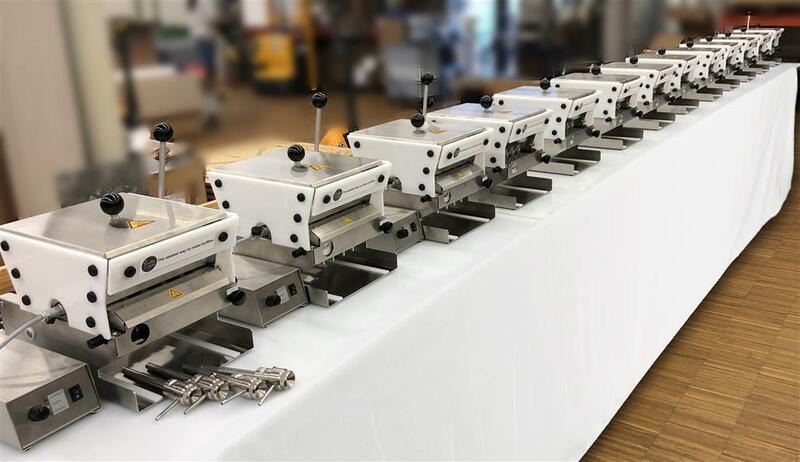 This Compact Universal Depositor offers the same high temperature settings as the Universal Depositor but comes with 4 nozzles. It has been designed to work with 90% on the standard molds on the market, including silicone and polycarbonate products. Use your existing molds or simply adjust molds to fit. 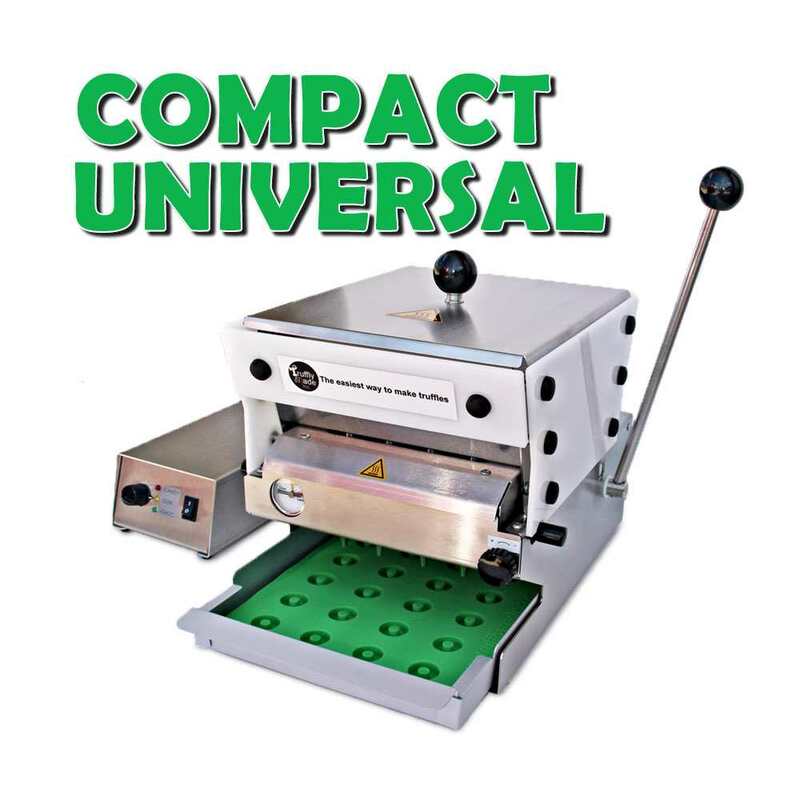 The Compact Universal Depositor delivers accurately metered fillings with great flexibility. Stainless steel construction with ABS case. 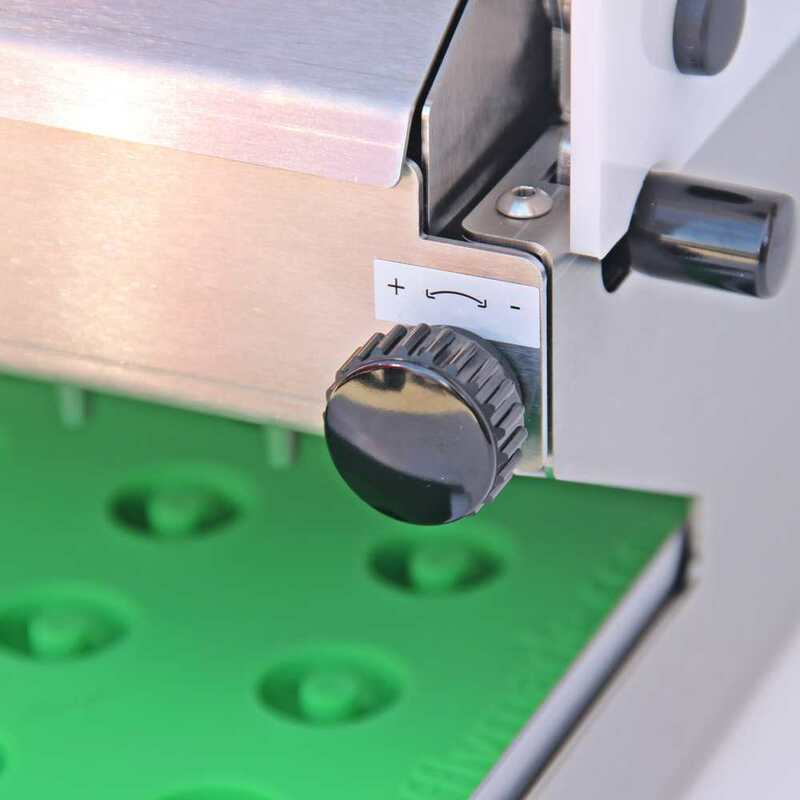 Four adjustable depositing nozzles, which can be easily positioned or removed to work with any mold layout. SKU: TM-DP-MINI. 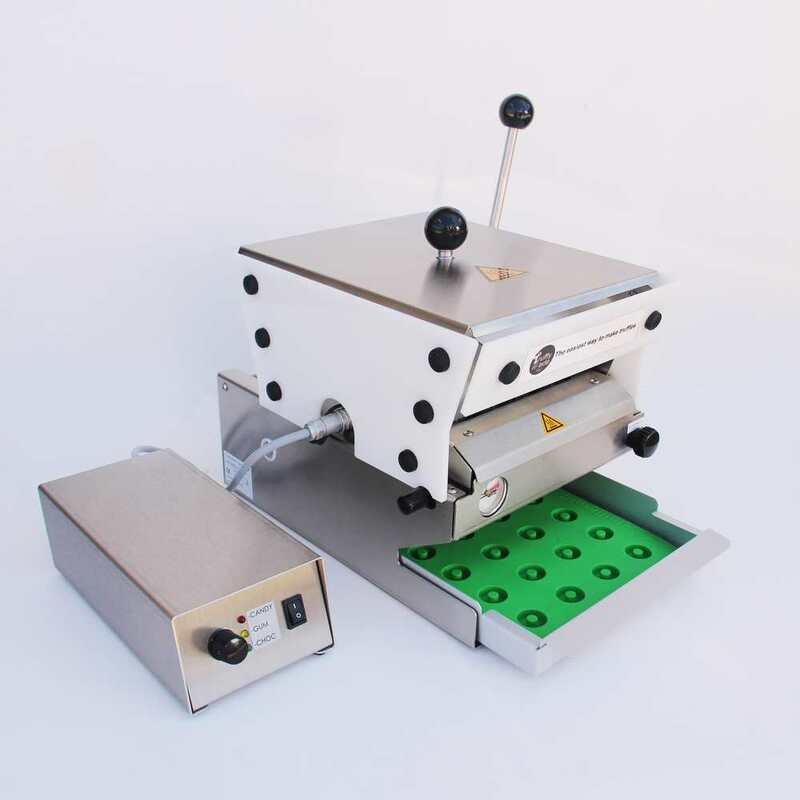 Category: Candy Depositor, Edibles Molds Collection. Tags: Edibles, Chocolate Molds. 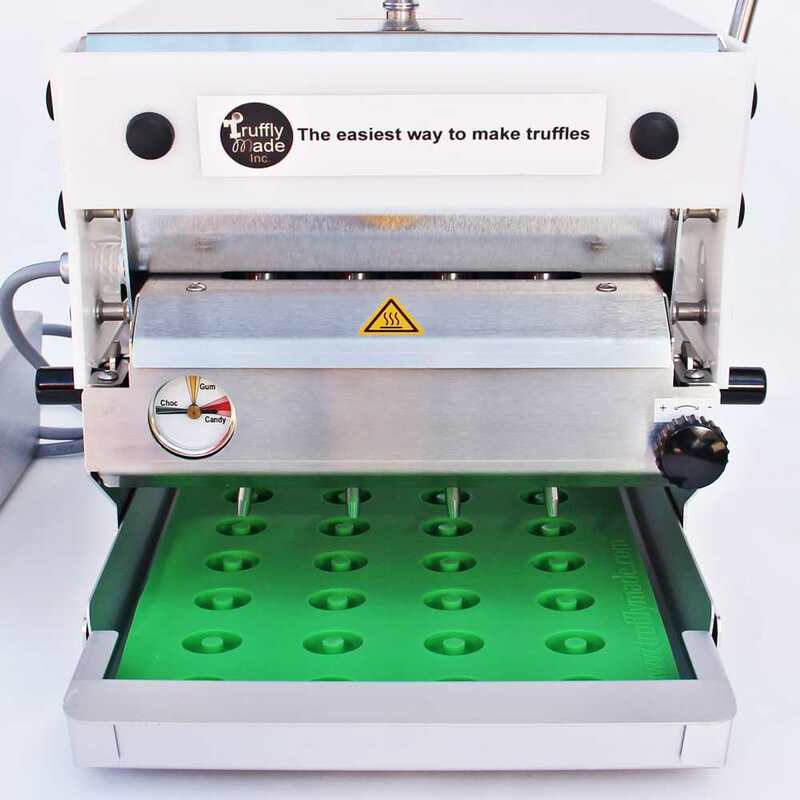 The Truffly Made Compact Universal Depositor is designed to remove the burden of filling multiple cavity candy molds while increasing the accuracy and uniformity of filling each mold. • The machine has a heated hopper and easily adjustable shot size control. • The four nozzles have adjustable centerlines to accommodate various mold configurations. • Nozzles are removable to accommodate molds with less cavities. 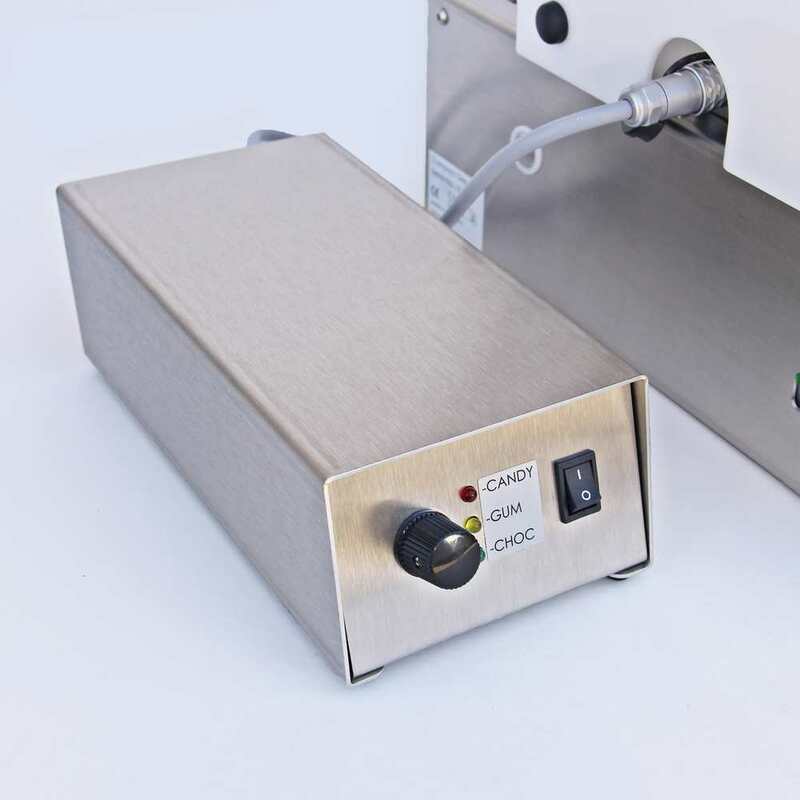 • The heated hopper provides heat to help chocolate, caramel or gummy products maintain temperature and flow easily. • Hygienic stainless steel construction, metal nozzles, POM case. • Adjustable temperature control panel. 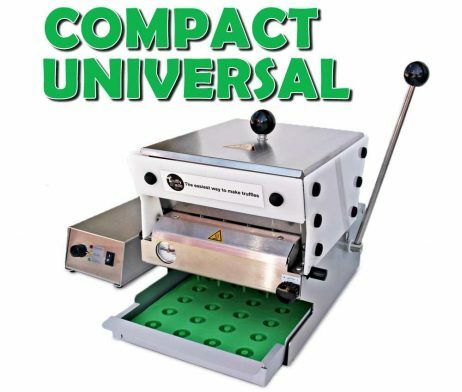 • The Depositor can work with molds up to 6.5 inches wide. The complete machine may be disassembled without tools for easy cleaning. • Guarantee: 12 Months from date of purchase .